The Balance Medium Box with Door - Light Grey is one of the modules used in the construction of the unique Balance Design-Your-Own Bookcase. 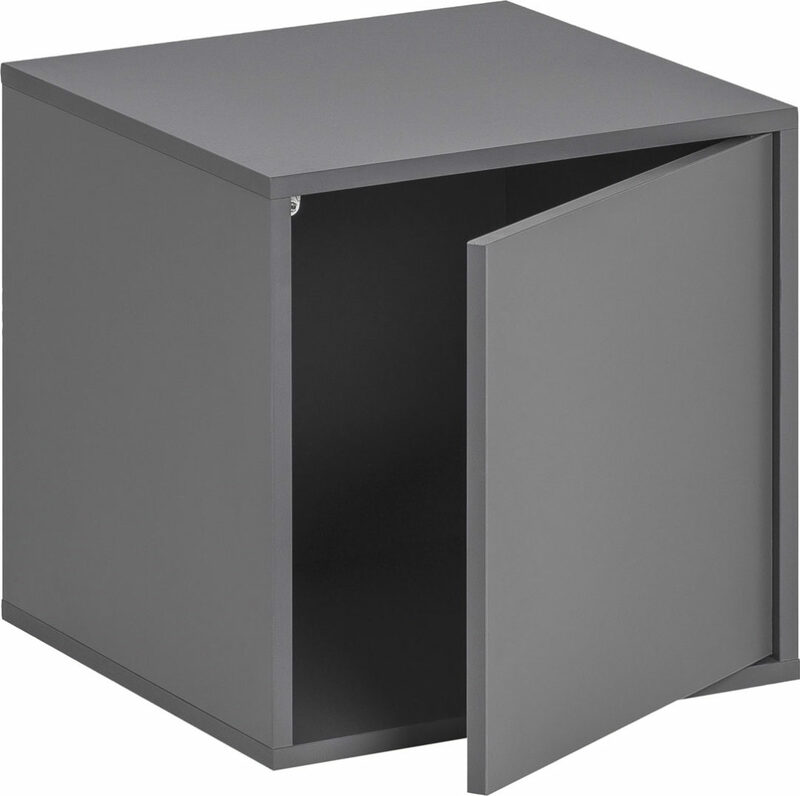 The Balance Medium Box with Door - Graphite is one of the modules used in the construction of the unique Balance Design-Your-Own Bookcase. 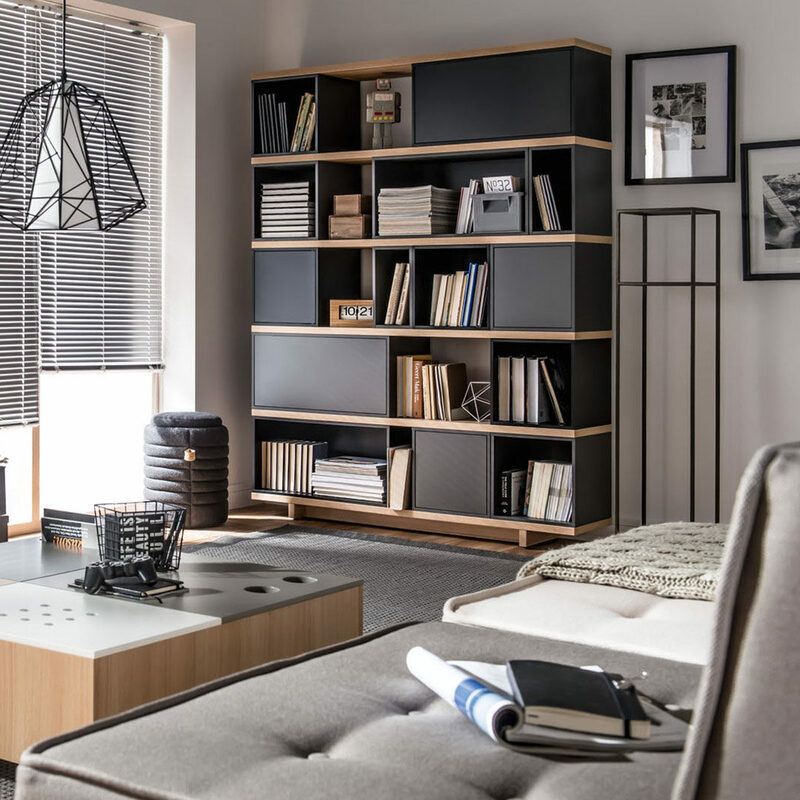 Combine the boxes with a base shelf and bookshelves (long or short) to create your own customised furniture piece! The boxes with doors are opened with the push latch system, and they can be arranged for the doors to open from the top or bottom, and in the case of the medium boxes, sideways as well. With the Balance system you assemble the elements without the use of screws or bolts, since they are connected by anti-slip mats applied to each piece's corners.